Abigail's Hotel is a unique accommodation experience that blurs the lines between a small luxury hotel and a heritage bed-and-breakfast Inn. Abigail's is an adult-only, intimate 23-room property that is housed in a 1930's Tudor mansion. Its special atmosphere blends the romance and charm of the past with the comfort and convenience of modern accommodation. 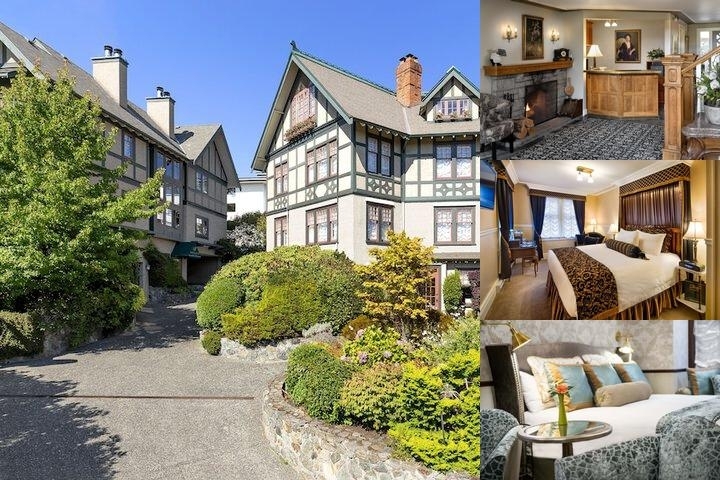 Located in romantic Victoria, British Columbia, Abigail's is quietly situated on the edge of the bustling downtown core and is three short blocks from Victoria's Inner Harbour, within walking distance of all the major downtown attractions and restaurants. Life is too short to be conventional, discover a splendour and charm that has been lost to the ages and uniquely exists at Abigail's. 14 days prior to arrival to avoid full stay charge. 1 night room and tax deposit will be taken at the time of reservation, refundable up to 14 days prior to arrival, less a $30 processing fee. Rates include three-course breakfast each morning consisting of fresh fruit, home-baked goods, choice of sweet or savoury main course and choice of sides (meat & starch). Menu changes daily.